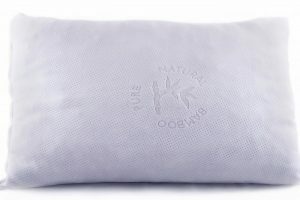 The Equinox Memory Foam Pillow has been finely crafted with state-of-the-art honeycomb cooling gel technology. It has been specially designed for disturbed sleepers. 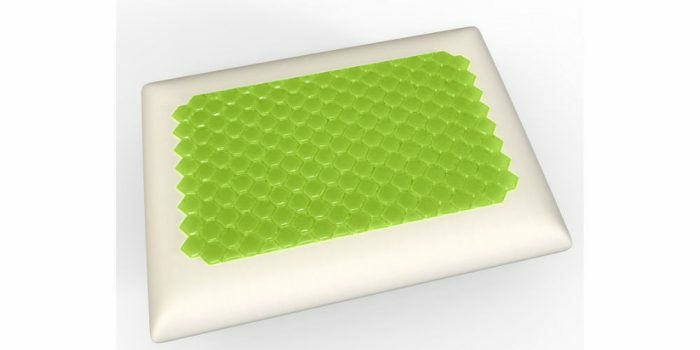 The shape of the pillow molds itself to the person using it, to provide a comfortable and rested sleep all night long. We understand the importance of a relaxed sleep in these fast paced, modern times. The cooling gel technology further gives you a cool sensation throughout your sleep, and adjusts the pillow’s temperature to that of your body. All in all, the Equinox Memory Foam Pillow is a blend of pure technology and innovation. The Equinox Foam Memory Pillow has been certified by the U.S. (CertiPUR). 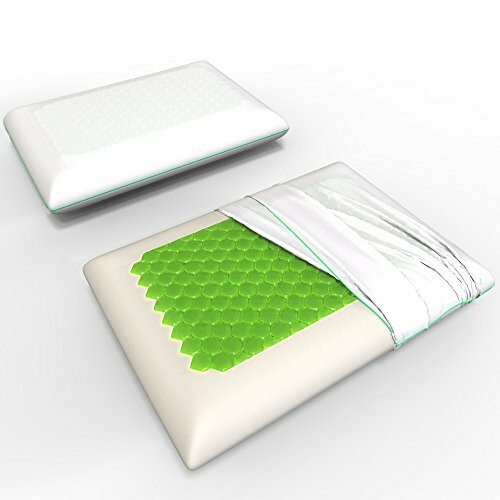 It also utilizes state of the art “honeycomb cooling gel” technology, that help the user through a night of peaceful sleep, as the pillow adjusts to the user’s body temperature. The producers are so sure of the product that they are providing a 5-year limited warranty for its use, along with a 30-day 100% money-back guarantee. The product has its obvious advantages, as well as disadvantages, but it is clear that the pros of using it, outweigh the cons. The feedback from the customers, especially those on Amazon.com, has mostly been positive. It comes along with a removable pillow case and careful instructions on usage. It has been specially designed for troubled sleepers and comes in a standard queen-size. Also, the product comes at a very affordable price of $38.95. When it comes to the purchase of a product, as a consumer, it is in your interest to take into account many items for consideration. You should only purchase something when you are assured of its advantages, and if it suits your tastes and personality. 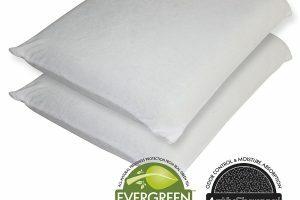 In this case, we provide a good comparison of the Equinox Foam Pillow with the other competing brands on the market today. The shredded memory foam pillow by Coop Home Goods is an interesting alternative. Although the product comes in the standard queen-size, it is also available in king-size. The loft provided by this pillow is of average height. The shredded foam makes it more breathable, thus making it cooler to lie down on and serves for all sleeping positions. The Sleep Better “Iso-Cool Gusseted Side Sleeper” is another product that promises a comfortable and peaceful sleep to the users. It is, however, only usable for side sleepers. 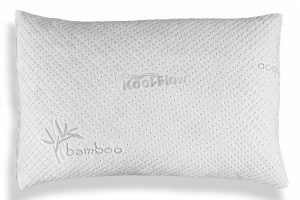 The pillow, otherwise, has quite a good advantage over the others since it comes at a lower price. It also comes in the standard size of 4”, which is perfect for cradling the head. Yet, when it comes to customer choices and preferences, the Equinox Memory Foam Pillow always wins over more people. This is mainly due to its all-round, better than average performance that comes with its carefully crafted honeycomb cooling gel technology. The pillow provides a peaceful sleep at the end of a hectic day, and always molds itself just right to the shape of the user’s head and body. The technology used by it has been U.S. certified, and it takes restful sleeping to an entirely different level. 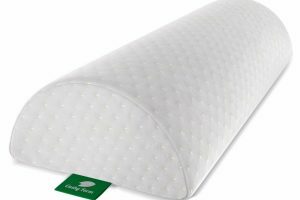 The Equinox Memory Foam Pillow has been designed to retain its shape, even if the user tosses and turns during the night. Additionally, it comes with a 5-year limited warranty, and a 30-day money-back guarantee. The product is preferred by the customers and has been spoken for on many occasions. 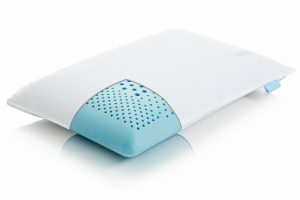 The cooling gel technology not only makes the pillow easily moldable to any kind of body shape, but also provides a cool and comfortable sleep for the user. It comes with a removable, washable cover that is made of spandex mesh. This additionally makes the pillow softer and even more comfortable to lie down on. The pillow itself can be easily spot cleaned with the help of mild soap water.